Is improving management of ecological commons a key pathway out of poverty? 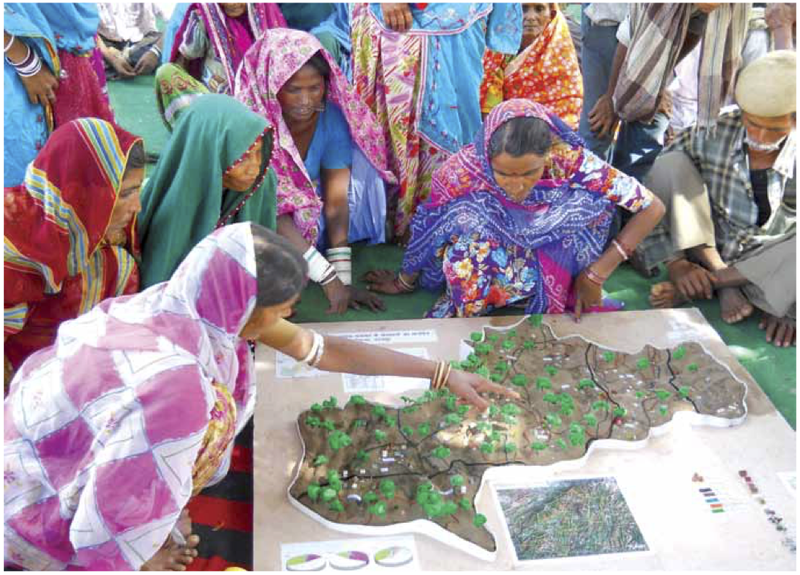 Foundation for Ecological Security is an Indian NGO that works to reduce poverty by helping communities organise to restore their ecosystems and enhance their livelihoods. The Foundation for Ecological security combines ecological restoration, a focus on building commons and community institutions, and sustainable rural livelihoods. They focus on entire landscapes and work with all the inter-related communities within these landscapes, and aim to promote ecological resilience by protecting and restoring biological diversity. Their work applies commons and social-ecological systems ideas. The Foundation for Ecological Security was established in 2001, but grew out of earlier cooperatives established in the 1980s & 1990s to integrate ecological restoration and development. It has several hundred staff and works with over 8000 village institutions in 31 districts across 8 states to promote collaborative self-governance, along with equal access of women and poor to decision making. They have worked with institutions representing over 3.8 million people to restore over 1 million ha of degraded forest, rangeland, and wetland. The Foundation for Ecological Security has also developed programmes and material that have been used to train 350,000 people in ecological restoration and management of village institutions. Foundation for Ecological Security believes that communities must not be seen as mere passive recipients of the programmes designed to benefit them. By assisting communities in mapping the complexities of natural resource management and in articulating their common concerns, we aim at community driven processes that effectively shape and use government policies and programmes for conserving their natural resources. Photo: Laxman Bhai Cholaviya from FES 2013-2014 Annual report . Foundation for Ecological Security has an integrated social-ecological perspective and address problems like biodiversity, food and water security. They have created network of partners that include different levels of government, international NGOs, local and international universities and local stakeholders. They have developed monitoring programmes and worked with scientists to improve their practices and test what works and what does not. They hosted the 13th Biennial international Conference of the International Association for the Study of the Commons (IASC). The Foundation for Ecological Security was awarded the Elinor Ostrom International Award on Collective Governance of the Commons for the year 2013, for outstanding contribution to the practice of Commons governance. Foundation for Ecological Security is continuing to grow and increase its impact, but it’s organization and methods could be used a a model for other groups working in other places.